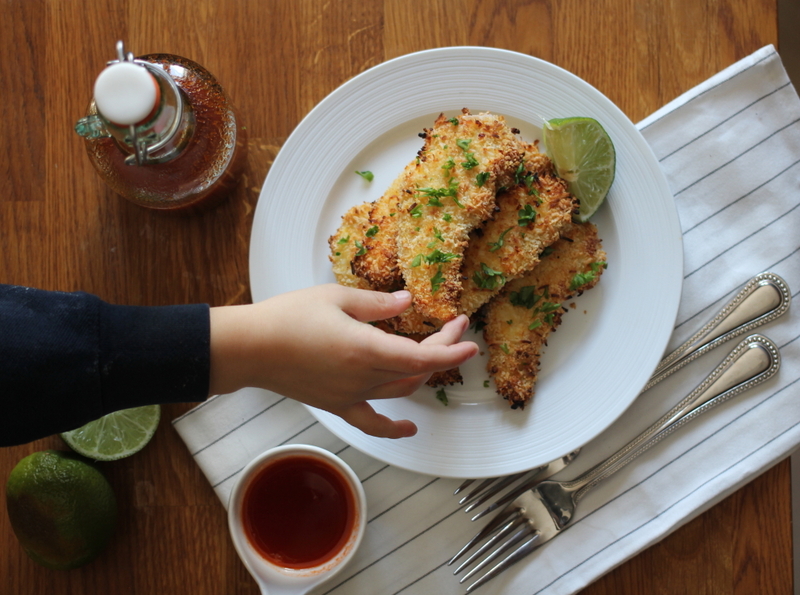 It’s great to change it up every now and then and these chicken tenders are the perfect way to do that. 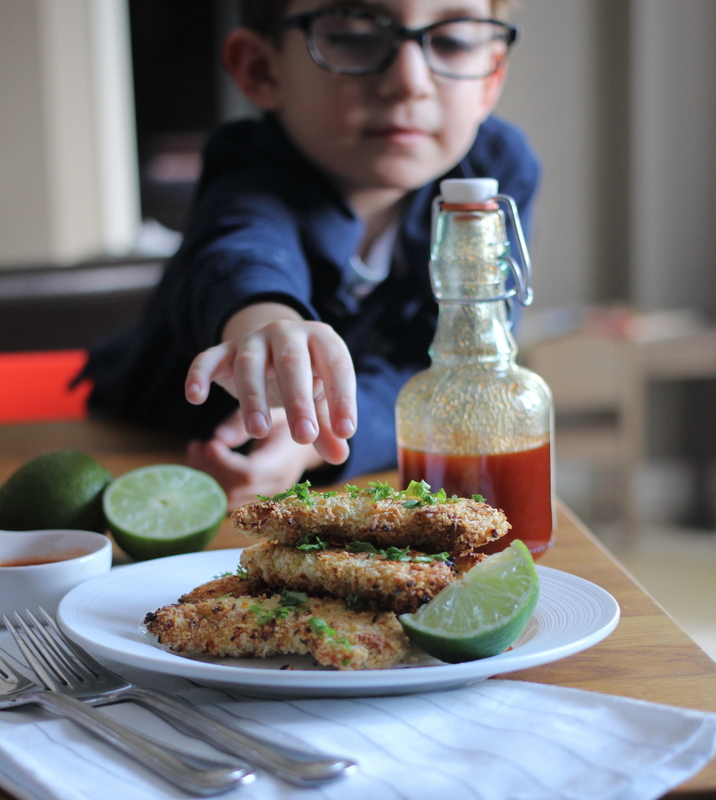 Instead of serving up a generic, fried chicken tender to your kids, make these–an oven fried variety with the addition of coconut! 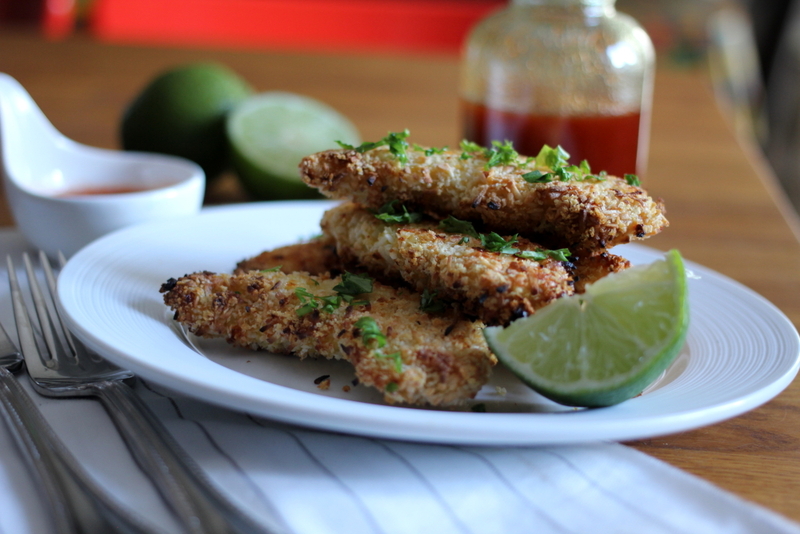 The dipping sauce is the perfect added kick to these sweet crusted chicken tenders. 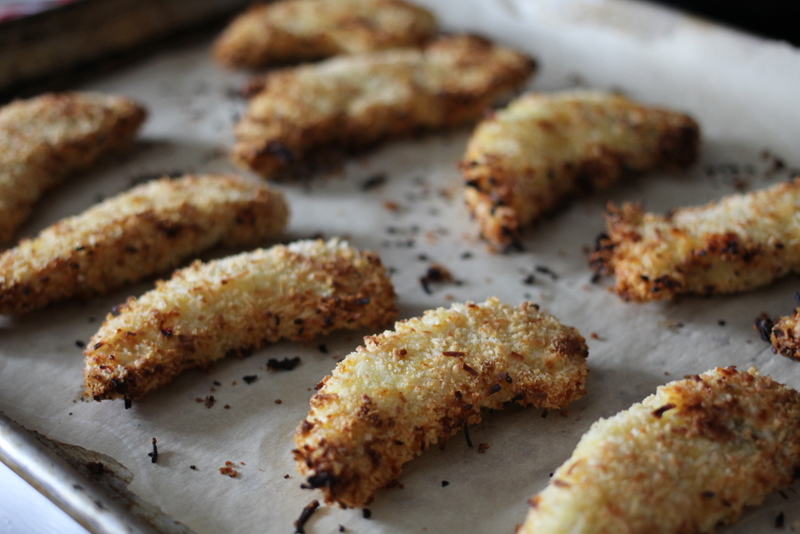 If you want to do these ahead of time, already baked coconut chicken tenders freeze really well (for up to 2 months). Make a big batch and then store them in an airtight and freezer-safe container. When you are ready to use them, bake the frozen chicken tenders in a 350°F oven for 15-20 minutes or until warmed through. I filleted the breast and then cut them into strips lengthwise. This was really easy to do using a plastic cutting board and a filleting knife. 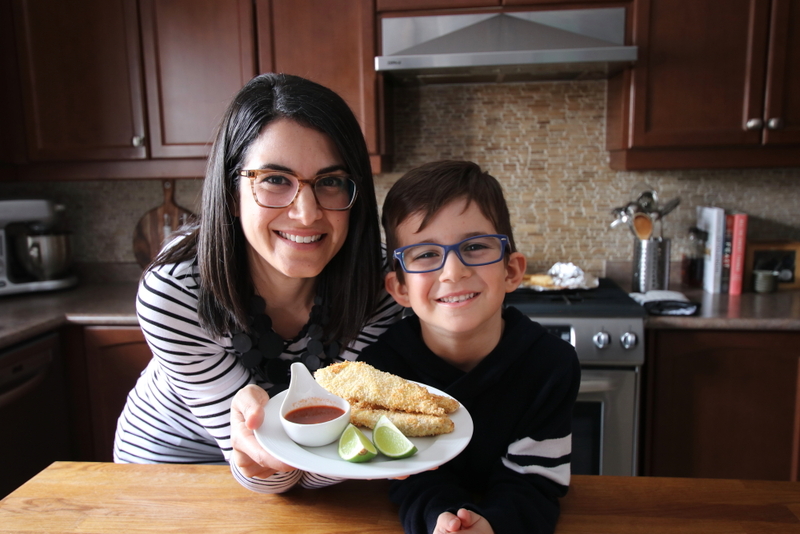 My son loved these chicken tenders–He even likes the spicy dipping sauce! I tried to keep him away so I can at least get one shot of them but he was just too excited to try them! I like to enjoy these chicken tenders with simple sides like avocado or mixed fruit salad, or even the classic pairing of potato wedges! A quick and easy chicken recipe that the whole family will love! 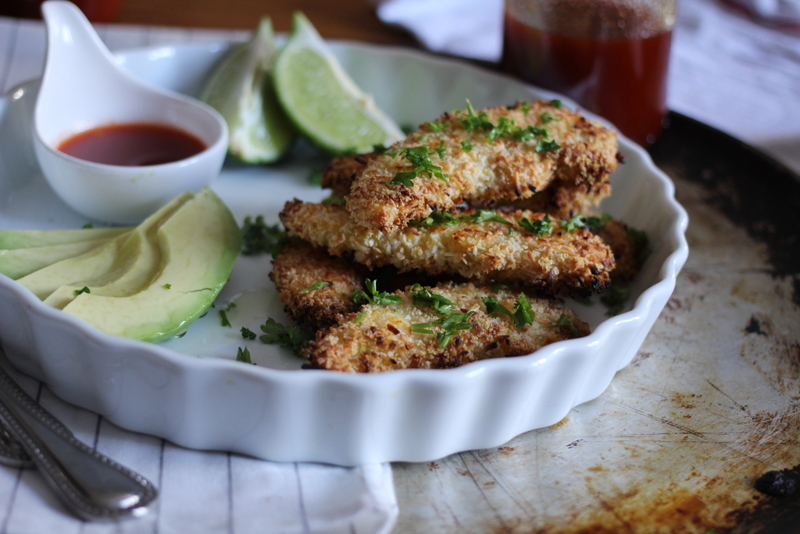 These chicken tenders are baked, not fried, so they are healthy too. 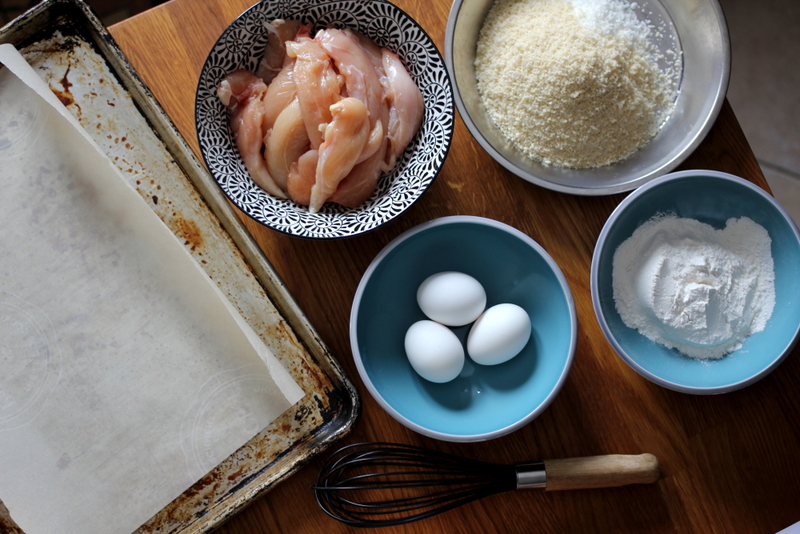 On a sturdy plastic cutting board, cut the chicken breasts into strips by cutting each in half lengthwise. 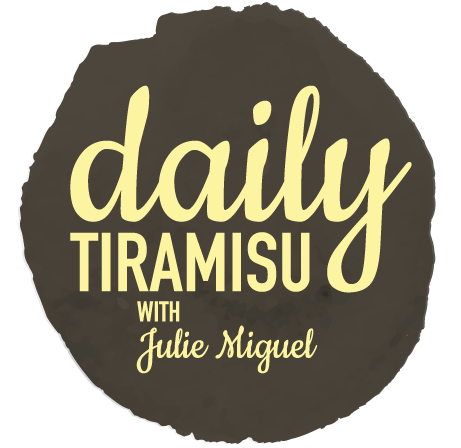 If your breasts are really thick, fillet them so they are about ¾ inch thick. Preheat oven to 425°F. Line a large baking sheet with parchment paper. Set aside. 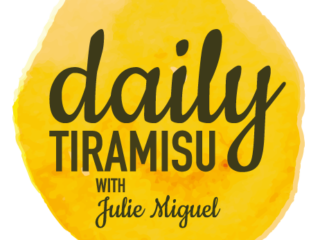 Combine the coconut with the Panko in a medium bowl. Set aside. In a second medium bowl, whisk the flour, salt, and pepper together. In a third bowl, whisk the eggs together. Set up your dredging bowls: flour first, then the eggs, and last the coconut mixture. Coat each chicken strip in flour, shaking off any excess. Then, dip in egg and let any excess drip off. Then generously roll in the coconut mixture, shaking off any excess. Place each chicken strip onto the parchment lined baking sheet. Bake on middle rack for about 15-20 minutes, turning once halfway, or until the chicken is no longer pink and the tenders are golden brown. Make the dipping sauce: In a small bowl, add the honey, Sriracha sauce, lime and salt. Whisk until combined. Serve chicken while warm with the dipping sauce. Add cilantro garnish if desired.